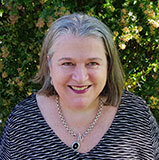 Professor Jane Edwards is a music therapist Registered with the Australian Music Therapy Association. She has worked with children and families in a range of healthcare contexts. Jane established the music therapy programme at (then) Royal Children’s Hospital in Brisbane; attending the 25 year anniversary celebrations for the programme in 2018. Jane has published extensively on psychosocial care for children and families in hospital. She has worked in a range of universities since the early 1990s; 8 universities across 4 countries; Australia, Germany, Ireland the United Kingdom, and is currently Associate Dean Research at the University of New England in Armidale NSW. Jane joined the AWCH Board in 2016 and was voted in as President of AWCH in December 2017.